Warning! This is a preliminary software. Use it at your own risk. 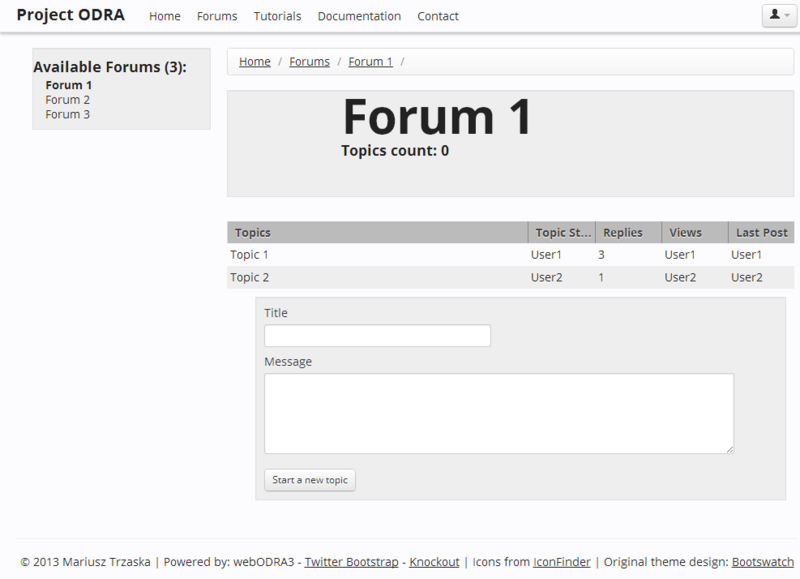 webODRA2 is a new version of the framework for the object-oriented database management system ODRA. 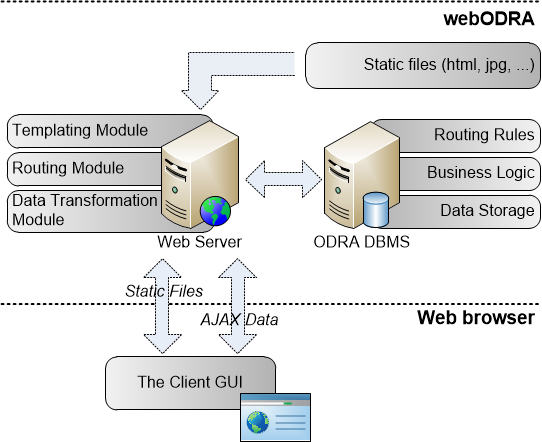 The framework allows using SBQL language for creating web sites. Passthrough. The web framework ignores those rules and they are processed directly by a integrated web server. They serve static files like: pictures, css, Java script, etc., e.g. Data route. They contain a SBQL method’s name to execute. The method will get all HTML form parameters entered by a user which makes possible processing them by a SBQL code. The result of the method is transformed (see further) and returned to the browser, e.g. Page route. An HTML page which is post-processed by our templating engine (see further), e.g. First, a HTML page is downloaded from a server, containing the markers. Then the library sends an AJAX request to asynchronously retrieve necessary data which are then “injected” into the page. The user data submission is performed on a similar rules. An asynchronous request is send to the server, triggering a Data Rule which process the provided data. Standard website navigation is performed using a regular hyperlinks (“outside” the framework). The templating module is responsible for a coherent look and fill of the entire website. It operates on a single master page (default: layout.html) which has a dynamic area fulfilled with some functional pages, e.g. a document repository, a forum, news, etc. For instance, the master page can contain a header, a navigation panel and a footer. The process is triggered by Page Route rule. When a particular page is requested by a browser, the master page is applied, or which is more correct, the requested page is embedded in the master page and then returned to the browser. When a Data Route rule executes a given SBQL method, the result could be any SBQL data type, e.g. a collection, a single object, a text. It needs to be processed to the format recognized by the Client GUI. The Data Transformation Module recursively converts the result into JSON string, sends it back to the web browser where it is further processed. 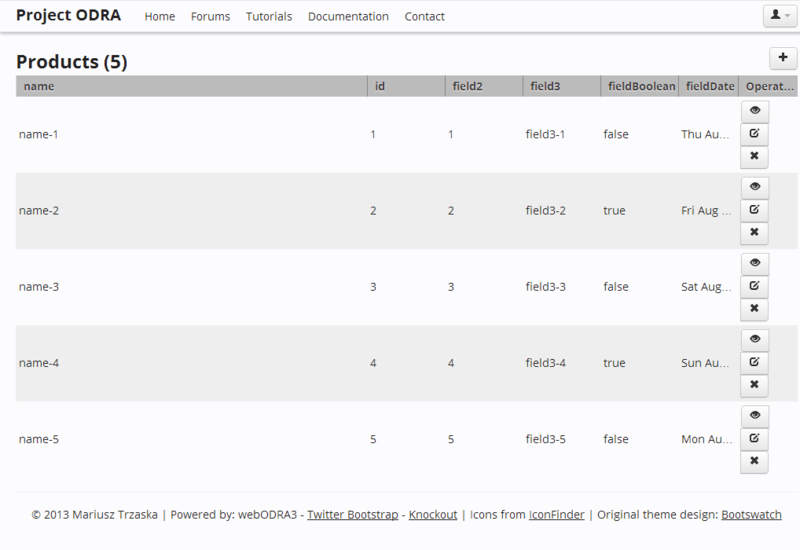 Download an archive from the http://www.mtrzaska.com/webodra (tested with the webODRA - Release 2013-08-29). Just unpack the archive – no installation is required. Make sure that you have a current edition of Java JDK installed properly. The \sample-… folders contain SBQL batch files creating routing rules and some data. The \WebRes folder contains static web files like HTML pages (including a template), graphics, CSS, etc. webRoot which defines the web root folder; default value is the current folder with the name WebRes. 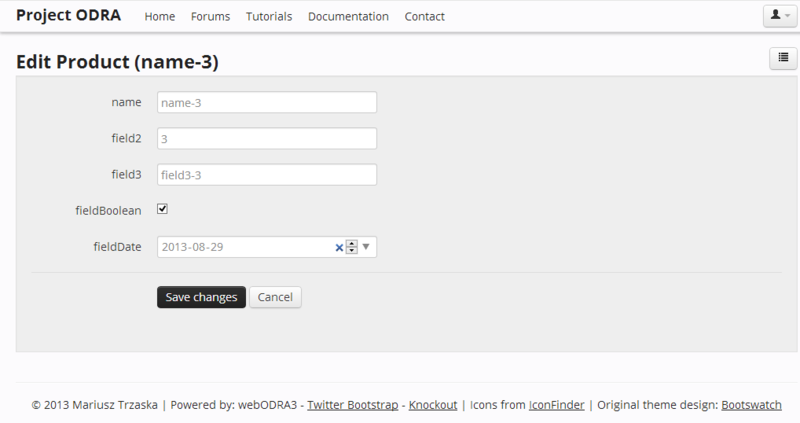 Sample usage: webRoot="c:\my\web\folder\"
It is also possible to start only a webODRA - use the webODRA - only.bat. 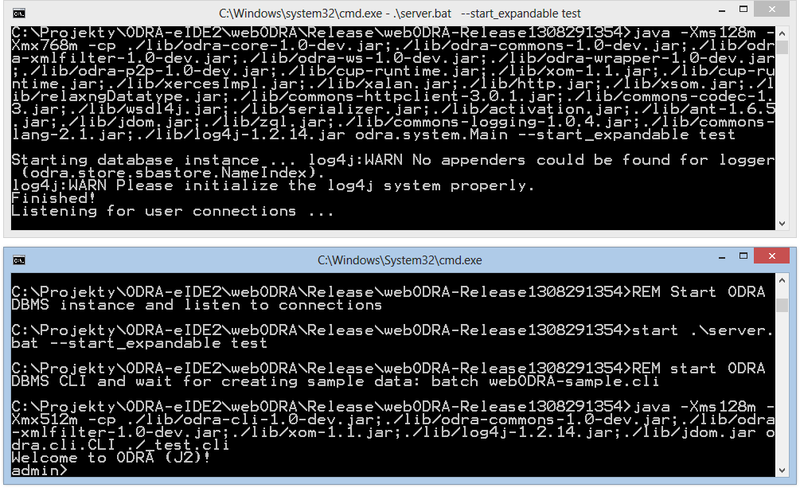 In such a case make sure that you have an ODRA DB server running and storing necessary information (e.g. routing rules).